It’s Thursday evening, shortly after 20:00h. Sebastian Zweig puts on his running shoes and goes running in the adjacent forest with his two dogs Cara and Molly. As often as his time allows that he does this, enjoying the nature and tranquility. This gives him grounding, this is where he can unwind like nowhere else. Today, the owner of the company MiaCara has to smile when he says that he was not thrilled at first, when his wife and the two sons suggested to bring a dog into the house. Because now Sebastian Zweig is of the firm belief that it was the best thing that could happen to him. It is sometimes incomprehensible for him what has been happening since the decision for a dog, explains Sebastian Zweig while he unlocks the door to the company’s office the next morning. 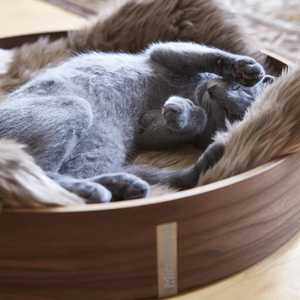 His brand specializes in design products for a beautiful living with your dog and cat. Already with the first steps into the premises, the affinity for design and architecture is visible. Then he sits down at the conference table and tells of the beginnings of his family business. After the first few words, you know, here we are dealing with a self-confident entrepreneur who pursues his projects with passion and deteramination. He has been having the dream of his own brand, for which he can also work creatively, for quite some time, when Labrador Cara joins the family. He has plenty of experience as a top executive for international consumer brands like Schwan-Stabilo, Lego and lastly De Sede behind him and he feels that the time is ripe for his own project. Again and again he noticed that many products for the dog do simply not keep what they promise. Someday Cara refuses to even lay down on a new dog cushion, because she is afraid of the rustle of the styrofoam balls filling. That was the moment in which he thought, that this can be done better. 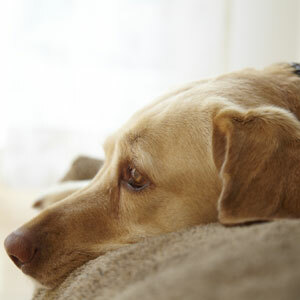 He is also sure that there are many more dog owners like him that have the same requirements. From his experience in the furniture industry he has got the know-how for special filling materials and high quality, durable and easy to clean fabrics. In discussion he and his wife then develop their own concept for functional, yet stylish dog products; in the beginning it is only a vague idea, then more and more concrete and at the end they take the decision: Let’s try it! But an idea makes far from being a product. 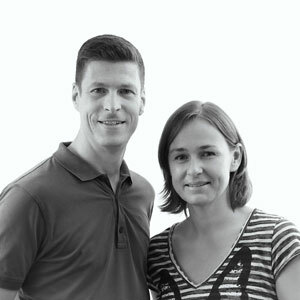 The couple wants to manufacture as much as possible in Europe and especially in Germany, but is rejected by producers repeatedly because production volumes are too small, or the know-how for the production of specific products is no longer available. But they do not give up, eventually find suppliers that meet their needs and are able to materialize their ideas. The two know exactly what they want: they want to try new and unusual combinations of materials and shapes and thus become material and production experts themselves to make their ideas a reality. In fall 2011 MiaCara goes to market with their first collection. The word about the sophisticated design and the quality of their products spreads around quickly, the two feel reassured and decide to continue on their way. Today one of their established rituals is their walk in the forest together each Sunday morning. This gives them time to share the week’s events and to discuss new product ideas. It was not always like this. During his corporate career Sebastian Zweig barely had time for his family, working life and private life were mostly kept entirely separate. Today the boundaries are blurred, the two can spend more time together and find it especially nice now to be able to work together professionally. “My wife is creative and practical, I am structured and strategical. This can of course lead to frictions, at the end of the day, however, this perfectly complements each other” says Sebastian Zweig. This does not protect them from sleepless nights, however, because suppliers do not keep their promise, products are manufactured not in accordance to the signed off standard or competitors just copy what was developed in a long process in loving detail and with a lot of passion. But the two cannot be discouraged by setbacks, instead they learn from them, develop their concept further and improve the products continuously. Because of Mia there is now everything for the cat! Meanwhile MiaCara has been on the market since 2011, the company has just moved for the third time, because offices and warehouse once again became too small. In the idyllic city of Herzogenaurach world renowned brands such as Adidas and Puma are next door, at the same time it is just a “stone’s throw” until you’re out in extensive nature. In total seven employees work in a family atmosphere at MiaCara, joined by an art director, photographer and external designers, with which the family now enjoys a close friendship. “The question of whether you are allowed to bring your dog with you to work, simply does not exist with us,” says Sebastian Zweig grinning. And during the holidays occasionally there are even two people more in the office when the two sons Max and Paul take a vacation job in their parents’ business to make extra pocket money. The beauty of all this is: one can see in him how much fun Sebastian Zweig has on his work. And this also has an impact on the products. “We’re doing things deliberately different, innovate, explore new avenues and sometimes even compromise on the profitability of a product, so that we can materialize it as we would buy it ourselves.” From the outside, this looks more as a vocation than a profession, for which various design awards, which the company has received for some of their products, is just one of many signs. 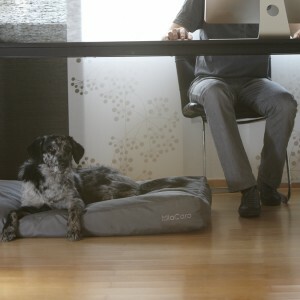 “The greatest acknowledgment is to hear from customers things like ‘My dog does not want off of his new MiaCara cushion’ or ‘If my dog could talk, he’d tell yourself how much he likes the design of your products” says Sebastian Zweig proudly. He pushes his bicycle beside himself to go home now to have dinner with his family. “We are all epicureans, we like to cook and love to eat, like to sit long at the table and talk, of course, often about MiaCara. According to the tastes of our children also sometimes too often “But overall the two sons find the occupation of their parents “pretty cool“ – both of which are very interested and also give their input. 04/2019: Lauch of the Dog Accessory Collection "Mercedes-Benz by MiaCara"